REDUCED TO SELL with Amazing ESTUARY VIEWS!!! Owners are motivated and must sell. HUGE Family home with Massive Shed. 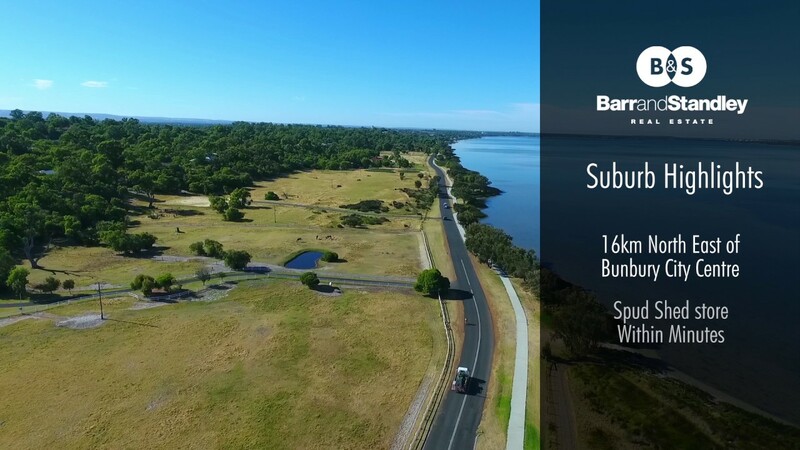 Live the lifestyle you've been dreaming for in this spectacular property located up high overlooking the Leschenault Estuary. The views are absolutely magnificent and stretch 180 degrees - sunsets to behold! Perfect for the family who needs a bit of space, or for the retired farmer who can't bear to sell machinery or live in town. Set on approximately 1.48 hectares (3.65 acres) there's a nice mix of open lawn and native trees with a gentle slope. - Amazing NEW Renovated kitchen with granite benchtops, 900mm Belling upright stove, rangehood, plumbed fridge, lots of storage. - Impressive games room with tiled floor - 70 sqm! This property has the lot and will sell definitely needs to be seen to have full appreciation for the Extra High ceilings and quality range of features, plus to see the views through your own eyes.